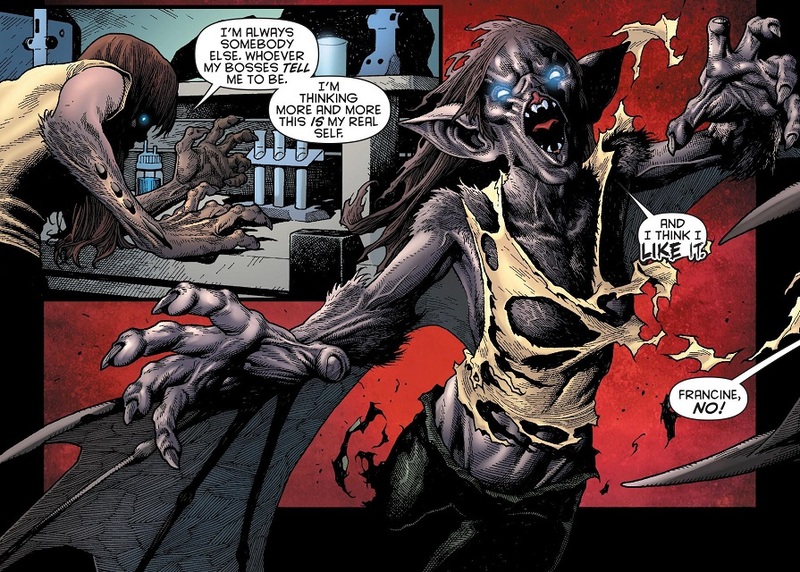 Whatever happened to Francine Langstrom, the wife of Man-Bat? Man-Bat is still around. He’s a teacher at Gotham Academy. But whatever happened to his better half, the badass lady scientist that is Francine Langstrom? Why isn’t DC Comics making better use of this potentially awesome character? Francine Langstrom, for those who don’t know, is the wife of Kirk Langstrom, otherwise known as Man-Bat. They’re a scientist couple who are always working on this formula that turns people into a werebat creature. Kirk and Francine have appeared all over the world of Batman, from Batman: The Animated Series to Batman: Arkham Knight. And as of right now, Francine is languishing in comic book limbo! Now is the perfect time for Francine to make an awesome comeback! Join me after the jump to find out why! Francine Langstrom debuted in 1970 as the fiancee of Kirk Langstrom, the super-villain known as Man-Bat. Her husband was taking a formula to turn himself into a giant, rampaging bat monster, and Batman reached out to Francine to get her help in calming Kirk down. 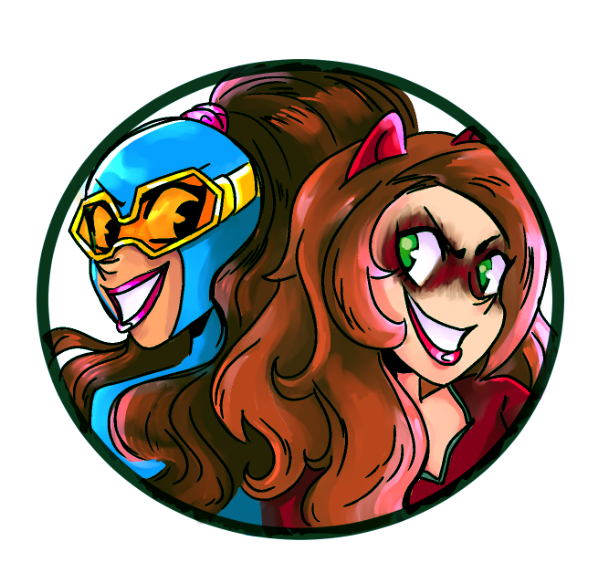 The pair would eventually marry after Francine herself took the formula and became She-Bat! The Langstroms and Batman would go back and forth several times, always getting cured and then always manifesting their bat monsters within. They weren’t villains, per se, so much as cursed like werewolves. Batman usually took it easy on them. And sometimes they would team up with Batman and help fight bad guys. The Langstroms eventually had two children, one of whom was a mutant bat child. And there was one time when they all got turned into bat monsters! Francine and Kirk appeared in the very first episode of Batman: The Animated Series, and in their second appearance later on, Francine also became a Man-Bat monster. It was pretty great. The two of them also appeared in Batman: Arkham Knight as one of the crazier side stories. These are deep characters with deep lore, often portrayed as allies of Batman. Francine even got to hang out with the Outsiders for awhile. These were good people! Until the New 52 reboot decided to throw Francine in the garbage! 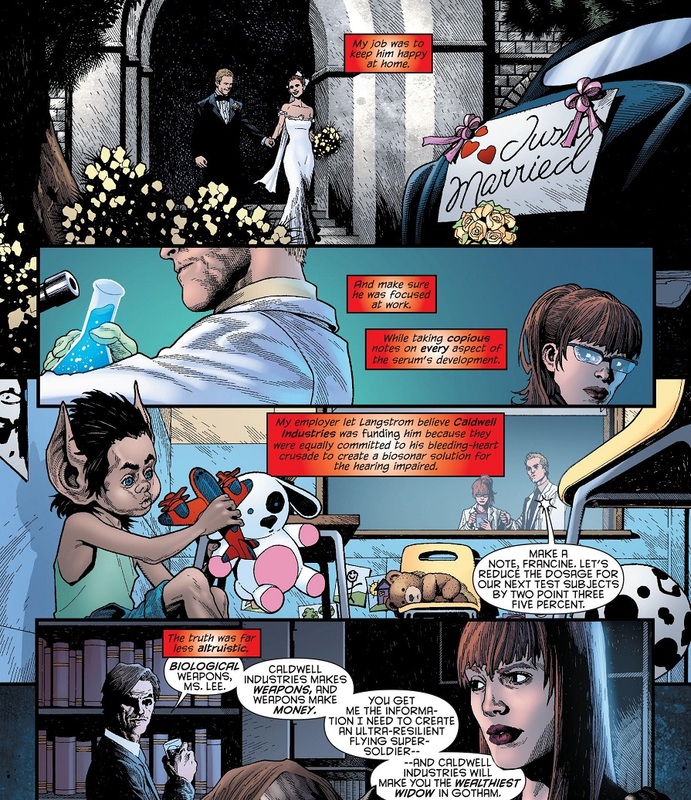 In the new, rebooted universe, Francine was turned into a villain who tricked Kirk into marrying her so that she and her company overlords could force him to complete his Man-Bat formula. She never really loved Kirk. Evil Francine also became a bat monster, but she was defeated in her hubris and charged with murder. She was a real rotten apple in the New 52 and only made that one appearance all the way back in 2013. Francine Langstrom hasn’t been seen since. Because Dr. Francine Langstrom is one of the few female scientists in comics who are known primarily for being female scientists! A lot of DC superheroes are smart, but how many of them are a scientist first and a superhero/monster second? Francine is the ultimate S.T.E.M. role model in the DC Universe! She’s a loving wife and mother who isn’t afraid to get her hands dirty and turn into a giant bat-monster from time to time. Yeah, sometimes that monster rampages out of control, but if her husband can control the Man-Bat enough to be one of Batman’s allies, then Francine should be able to do one better! Francine was used to perfection when she was the tech assistant for the Outsiders before the New 52. She got to work in a lab and assist superheroes as a solid supporting character. She could do that again in any capacity, whether directly helping Batman or just helping other superheroes. The Bat-family is huge these days, and having a badass female scientist at hand is definitely something Batman would do. The fact that she can sometimes turn into a monster to lend a hand in a fight is doubly awesome icing on the cake. In today’s push for diversity in storytelling, having a badass female scientist as a major character would be a really big deal. Posted on January 31, 2017, in Comics, DC, Forgotten Characters. Bookmark the permalink. 1 Comment.